If you want to use Firebase, please create a new account or login to your existing one. Firebase offers a free plan which is allowing you to use 2 projects. If you need more, you have to upgrade to a paid plan. Click on Create new Project and fill out all needed information. Now you are able to add Apps to your project by clicking the “Add App” button (upper right corner). Then select the platform of your app. Fill out all needed information for your choosen platform and fill out all needed information. No further settings needed. Just activate this handler. 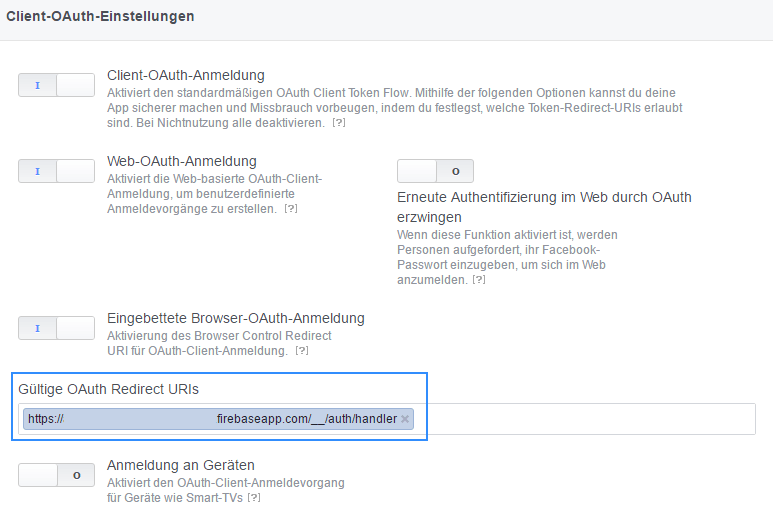 In order to activate the Facebook Login Handler you have to create a Facebook App first. If you need help with that, please visit this guide. …and paste it at Firebase. 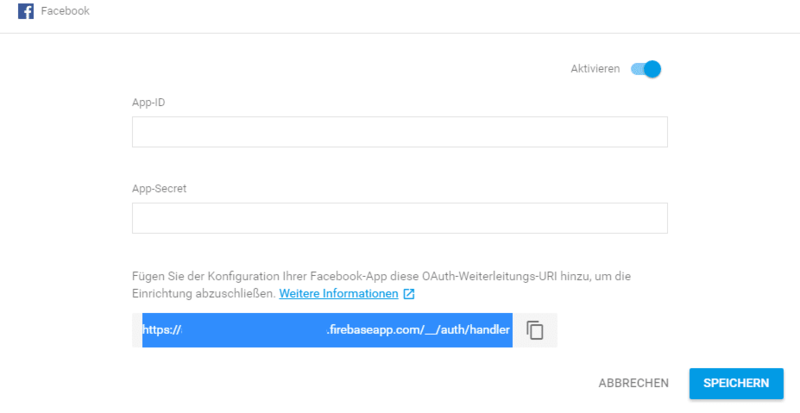 Then copy the …/auth/handler (blue marked) URL and paste it at your Facebook App. 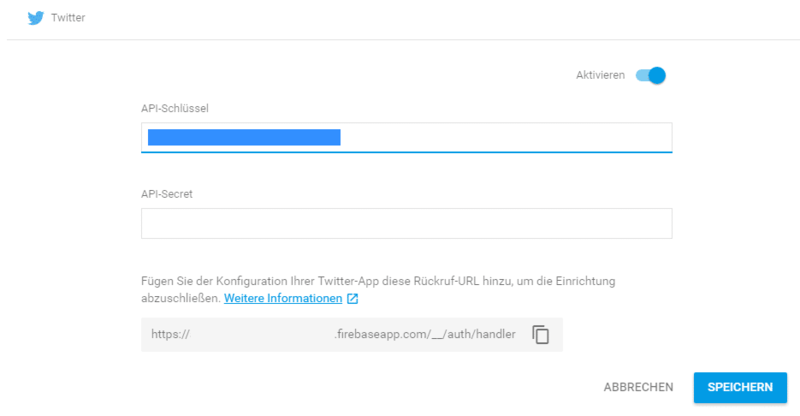 In order to activate the Twitter Login Handler you have to create a Twitter App first. Copy your APP ID and your APP SECRET and paste it at Firebase. Then copy the Auth URL and paste it at your Twitter App (Settings Tab). If you are using Social Handlers (Facebook, Google, …) add your domain to the list below. Otherwise the login will be blocked and you’ll get this error message in the browser console. So just add the domain where your game is running on to the list below. If you want to add games on Scirra Acarde using Firebase Authentifiaction please note, that Scirra is blocking cross-platform request. Therefor the login with Social Handlers do not work there. 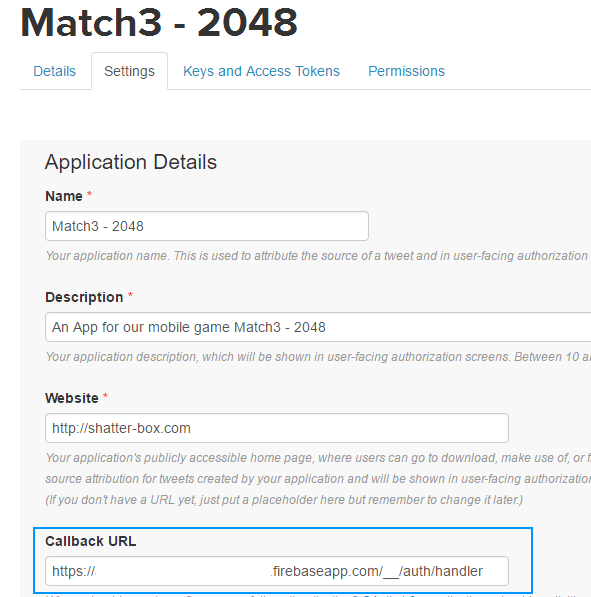 Firebase offers a realtime database for your game / app. The structure of it can be created in Construct 2 via the Firebase plugin. However to assure that only the data owner can read and write its data, we need to add some rules to the database. Above shown is the default code for the rules. This says that only logged in user can access the data from the database. ".read": "auth != null && auth.uid == $user_id"
But in order to differ the data for each user, we have to add following code (more information can be found in the docs of Firebase). So overwrite the default rule with the rules shown above. This will assure that the user can see and write only his/her own data. This also will need some modification in the C2 code, but more later. At the moment there is now mobile Firebase plugin for Construct 2 available. Only for HTML5 games. The Firebase plugins for Construct 2 were made by Rexrainbow! Thank you for your hard work. If you want to check out a live demo of the Firebase Service, please visit following link (Scirra Acarde). Scirra is blocking the Google Login. Please use the Email & Password Login Method instead. If you want to use Firebase you’ll need to add at least following plugins made by Rexrainbow. Download and install all the core plugins listed above. Those are needed to open the example files. Additionally you can download and install following plugins made by Rexrainbow. If you are looking for more awesome plugins & behaviors made by rexrainbow, visit his website over here. You can download a complete Firebase Template in the Scirra Store. 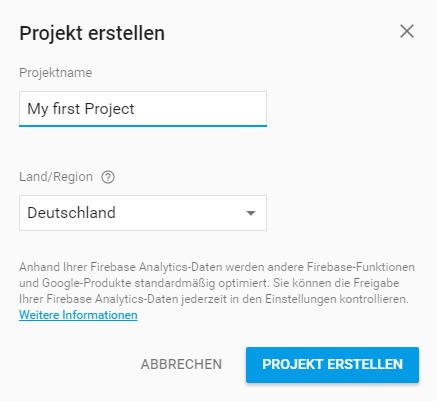 In order to get your ID’s for the Firebase API v3 Plugin, select your Project in Firebase and click on the little gear icon (next to your Project Name) and then Project Settings. Then scroll down and download the “google-services” JSON-file. 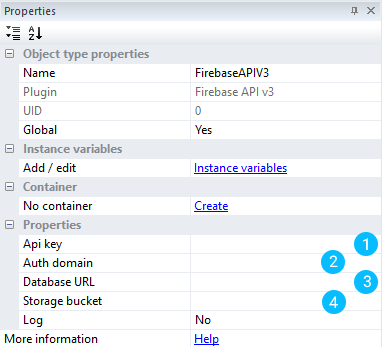 There you’ll find all needed ID’s to configure the Firebase API v3 plugin. Open the JSON-file with an editor of your choice. 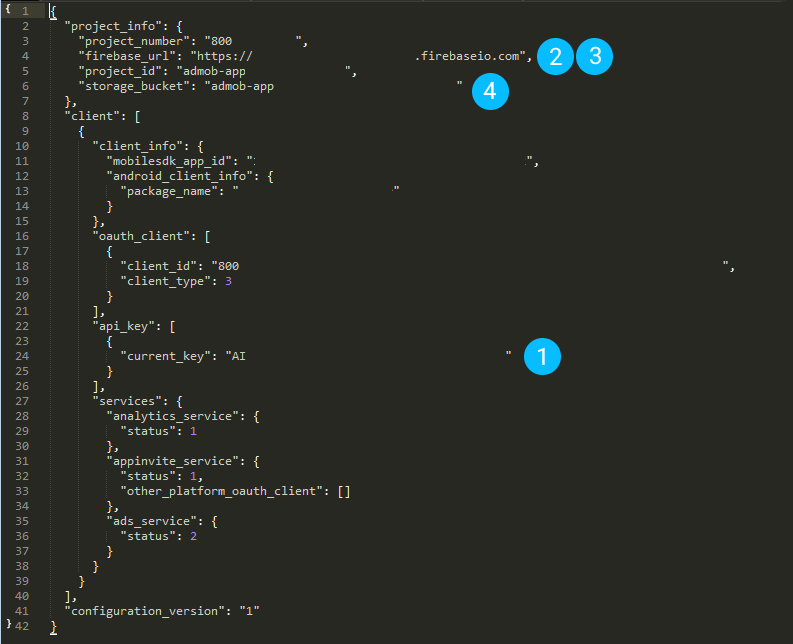 Copy the corresponding ID’s from the JSON-file to the Firebase API v3 Plugin. Just see the screenshot above in the guide. You can download the json file with your ID’s out of your Firebase project. Where exacly i can download json file ? It’s all described in the guide above where you find the JSON file. Just click on the gear symbol shown on the image above, then select Project Settings and download the google-services.json file. Just to add something that took me a while to figure out…the auth domain ends in *firebaseapp.com…if you see local host under OAuth redirect domains (Auth Tab) it’s the address below. Thanks for this tutorial. I haven’t made a game using Firebase for multiplayer, so I can’t tell you how to do it. It’s better if you ask that question in the scirra forum. I want to send variables (questionnaire answers) to the Firebase database. Any suggestion what the best way it to do so? I never have used the itemtable plugin. Claims there is an issue with Line 49 Col 27 of the runtime.js and cannot read “database”. It might be a problem to bring to RexRainbow, but thought I’d try here first. I’ve played around with the account information entries and nothing seem to change the error, only deleting the V3 plugin works. Okay, I ended up uninstalling all the Firebase plugins and then shutting down C2. Restarted C2 and added the V3 API plugin, no problem. Of course then I added the Auth plugin and got an error but I think I know what is wrong there.